Exceptional wireless. Stunning picture quality. Start watching your favorites quickly and enjoy a smooth streaming experience. Whether you’re streaming in your home, hotel or even in the backyard, the advanced wireless receiver gives you 4x the range and a stronger signal for streaming. This means you can stream in places that are ordinarily too far from the router. Stream in brilliant 4K, HDR and HD. 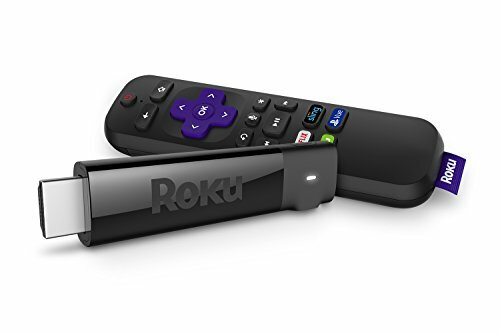 Experience the visual rush of 4K and vibrant HDR picture quality with the new powerful and portable streaming Stick Plus . plus, no more juggling remotes. Our new voice remote with buttons for TV Power and volume control makes it easy to control both your TV and streaming Stick Plus . Enjoy 500, 000 Plus movies and TV episodes across thousands of free or paid channels. You can even search by voice across top channels by actor, show and more. Brilliant 4K, HDR, and HD streaming. Note: The USB port on some TV's may be unable to power a Streaming Stick+, if you see the on-screen warning message that appears in these cases, use a wall outlet.